The upcoming Aug. 21 total solar eclipse is likely the talk of town in places that will be in the path of totality, but for those places out of the path of totality, the show won’t be as stunning. There’s a solution though, NASA is going to have four hours of coverage during the day of the eclipse broadcast live on multiple platforms, the broadcast will be called Eclipse Across America: Through the Eyes of NASA. So if you’re not in the path of totality and want to be able to experience the eclipse with others around the country, you have options. Plane tickets to cities in the path of totality have spiked in price and most people don’t have hundreds or even thousands of dollars to spend to travel to the eclipse. So NASA is going to provide multiple views of the eclipse on a variety of social media platforms and websites to make it accessible to as many people as possible. The broadcast will occur from several different locations on the ground and in the air above Earth. 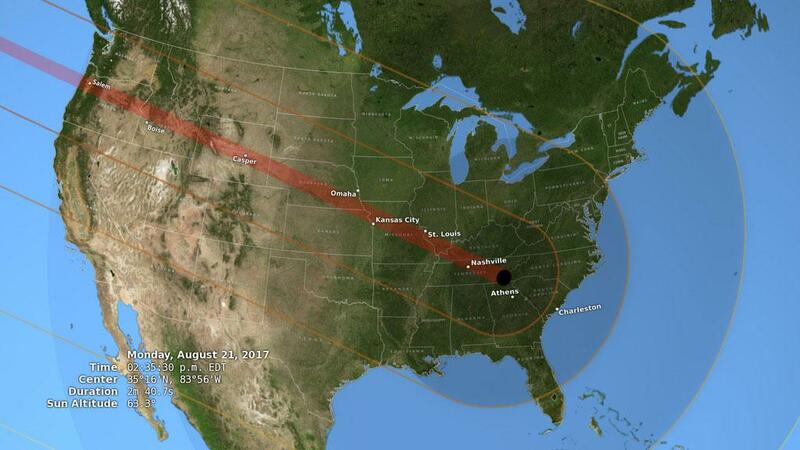 There will be live reports on the ground from cities in seven of the 14 states that sit in the path of totality on the big day. Those cities include Salem, Oregon, Jefferson City, Missouri and Clarksville, Tennessee. In addition to the reports from the ground, NASA will offer several other views of the eclipse during the broadcast. The International Space Station will offer a clear view of the occultation from space. Meanwhile back on Earth there will be several experiments running to capture the eclipse in other ways. 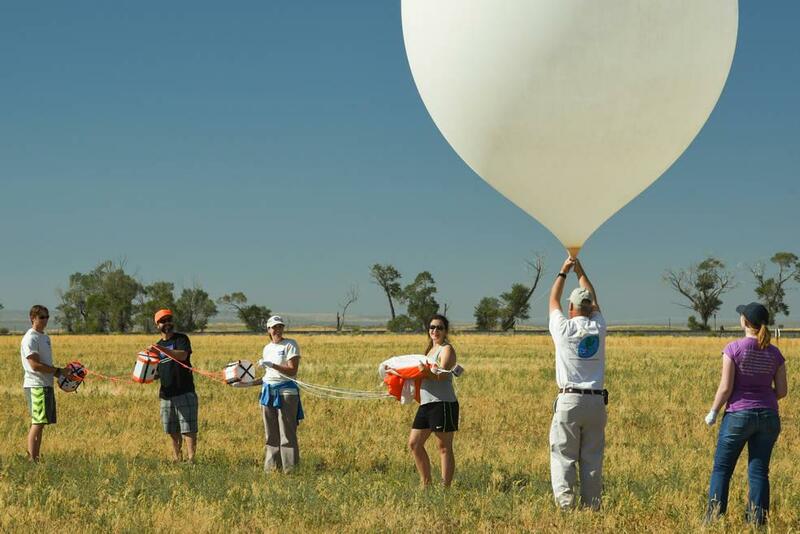 There will be 50 high-altitude balloons released during the eclipse some of which will live stream it and others of which will also have science experiments on board. This experiment is one of 11 NASA is running on the day of the eclipse to capture as much information about the conditions the eclipse causes. NASA will also broadcast from aircrafts during the eclipse. Meaning the live broadcast could potentially include streaming video from four different elevations of the eclipse, not to mention the many different locations on Earth. The Eclipse Across America broadcast will be streamed to Times Square in New York City on the Toshiba Vision screen. The audio of the program will be cast on the NASA app as well as on the NASA site for those who view coverage on the big screen. If you’ll be watching from home or from work or maybe even school you can access the broadcast a number of places. It will be available on all of NASA’s social media channels, Facebook Live, Twitter, Twitch, Ustream and YouTube. It will also be available on the NASA app that’s available on iOS, Android, Amazon Fire and Fire TV and Apple TV. As well as on NASA’s website. Coverage will begin Monday, Aug. 21 at 12 p.m. EDT.